On my past few visits to New York City, I have paid a visit to Greenwich Letterpress in the West Village (visit their blog greenwichletterpress.blogspot.com). I have wondered why we didn't have a similar printing press/store in Sydney, this was true until now. 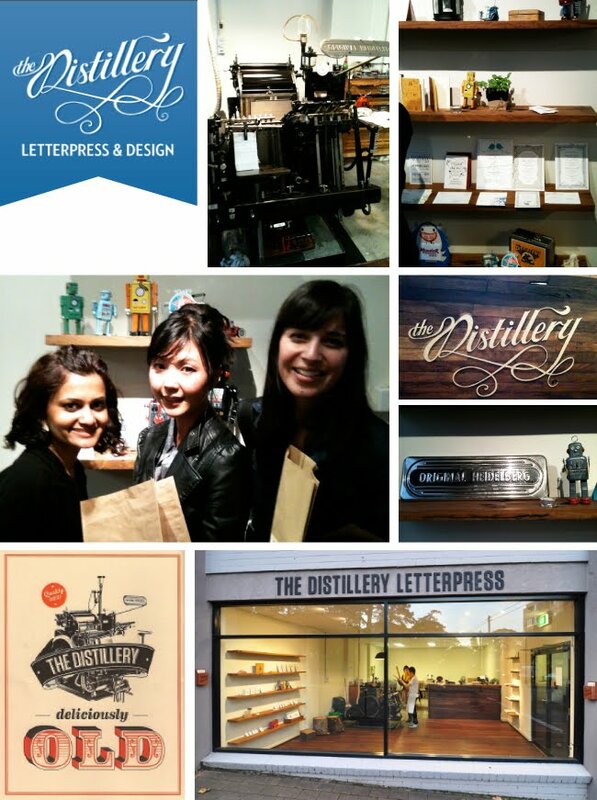 We were impressed by the team at The Distillery, they really seemed to know their stuff - and their passion for the fine art of letterpress was inspiring. To put it simply, letterpress printers are to printing what artisan bread makers are to baking - yum!